Cell phones are a terrific tool to support student engagement and achievement in speaking and listening. Here are some ways that teachers are using cell phones to do just that by using tools like Google Voice and Voki and functions like video. There are many great tools to capture voice with cell phones. 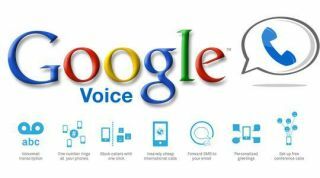 Google voice is one such tool that is free and easy to use and enables educators to capture voice messages from students without providing them with their direct phone number. The power of this kicks in when you realize that what Google Voice does is become a repository for oral reports, assignments, or sound bites. Not only is it a repository, but teachers can write notes on each clip, share, and post them. To get an account and learn more visit www.google/voice.com. Students in Spanish class can practice their language skills on the phone. On their own time, students call the teacher’s Google Voice number and read something in Spanish or create a dialogue which is sent to the teacher’s Google Voice account. The kids respond really well to it and instead of taking up class time, they dial in to the teacher’s phone number, and then the teacher can go online to hear what they've done. The teacher can listen to student recordings and e-mail them feedback. Many students are afraid to make mistakes in front of their peers. When they receive a recording assignment, they're more apt to take risks because they have some privacy.The end result is students are speaking more and getting feedback. Have students do their oral reports using Google Voice. If they don't like how they sounded the first time, they don't have to send the message. They can re-record until they have something with which they are happy. Use Google Voice as an assessment tool to easily capture student's reading level. Not only to have you have a recording, you have a transcript too and a place to keep notes. Rather than talk to a parent about how a student has progressed across a year, let them listen to it their child themselves. Have students share something interesting about themselves and post the recordings on a class page or in a blog where other students can listen or comment. Most phones today come with the ability to shoot video. This can be a powerful learning learning tool even if there is only one video enabled phone in the classroom. Allowing students to take video can help students with their speaking and listening skills by both providing them with the opportunity to see and listen to themselves speak as well as to listen to the recordings of what others have to say. Text Talk: Classroom Stories - English Language Arts, Elementary School You’d never know students were less than inspired about reading when looking at their classroom once video was introduced. Students who recently finished reading Island of the Blue Dolphins, were motivated and fully engaged as they dispersed into various parts of the room acting out the scenes from the script they had written days earlier. Often when a student writes, it’s not clear when something doesn’t sound right. However, when the students act out their writing, it immediately becomes clear when something doesn’t sound right and they jump back to their scripts to revise. Additionally, when students get out of their seats and act out the scenes from the book they read, the words and concepts that they may not have understood well, really come to life. Their teachers shared that they are convinced that when they measure comprehension, they will find that students understood this story better than the others they have read. Have students act out chapters of a book they are reading and record it using video. Acting out a chapter helps solidify understanding. Record mini lessons and how to’s using the video on your cell phone. These can be stored on the classes online space as well as emailed or texted to students. For teachers using the reading workshop, taping accountable book talk between pairs or in book clubs is powerful. Students can go back and look at their talk to see how they did and what they might change, teachers can listen in on conversations they wouldn’t usually be able to and doing so provides documentation of growth. Click here to visit the blog for more ideas. Using digital avatars in programs like Voki http://www.voki.com enables students to call into with a code on their phones and use their voice for the avatar. Students of all ages enjoy creating their character and watching it speak with their voice. Voki allows students to re-record by calling in as many times as needed to get their report just right. Students can also comment on one another’s avatar with their own original Voki which is a great way to give peer feedback. Students could not write their experiences with trying to quit smoking. They just “...didn’t know what to say.” However, this came to an end when they were given the choice to call in and talk on their phones. As a result they could tell others about how hard it was, how they did it, and how much better they feel. Using traditional methods, they never would have read each other’s work, but with the cell phone they loved listening to each other’s vokis. The Vokis were used by the American Lung Association as testimonials from students who quit. When students are experiencing writer’s block, have them call in and say it through their voki. This gets them started and a great oral (and/or written) report results. Use Voki for public speaking practice. By saying their speech in the privacy of their own home into their phone, they gain valuable practice and get to listen to themselves for feedback. Speeches are rehearsed and memorized through Voki. Storytelling benefits both the listener and the teller. Use voki to pair middle school students with elementary students for storytelling, without ever leaving the classroom (or home). As middle school students tell stories they are creating, acting, and engaging with language. As younger students hear the story and comment they are tuning their listening and thinking skills. For more information about and ideas on how to use each of these tools, check out Teaching Generation Text.